Supply the prefix to use when attaching the databases, the full path of the Databases folder, the SQL login account used by Sitecore, and a 1 or 0 to indicate whether to attach Analytics. The script attaches the databases as "prefix_web", etc., and gives db_owner rights to the account specified. Note: Double clicking on the code sample will Select All. 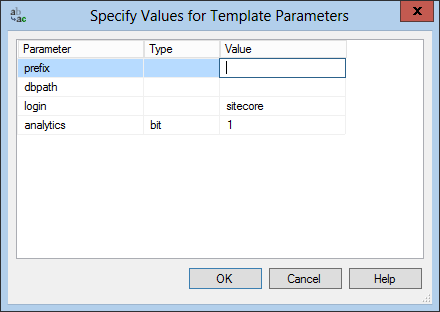 Dan, have you looked at the Install Sitecore task on the Sitecore Rocks start sage in Visual Studio? I find this a massive time saver as it installs the version of Sitecore zip file that I feed it and allows me to bootstrap my site with whatever packages I choose in one action. Another tool to check out. I feel a blog post coming... Thanks, Kevin and Mark! Great article! Very informative and simple easy to understand. Keep posting it really help for those people that needs this. I will refer your blog to my friends. Thanks a lot!